Canada’s recreational market is getting new powder and sugar products from Oakville, Ont.-based cannabis company Beleave. The company will be launching water-soluble cannabis-infused powder and sugar products to add to the recreational cannabis-infused food and beverage market next year. Beleave's Hamilton laboratory is being expanded to make room for methods to formulate cannabis extracts into soluble, flavourless powders, sugar crystals, and syrups for use in beverages and food products using stability-enhancing techniques for prolonged shelf-life. The final product offered to consumers will be a flexible, food-grade ingredient that delivers an accurate dose of THC and CBD when ingested orally, and with enhanced bioavailability, the company stated in a release. Spearheading these efforts is the company's recently-appointed vice-president of science and technology, Dr. Peter Chen, who is a Postdoctoral Fellow at the University of Waterloo, School of Pharmacy. Product development and optimization protocols will be done alongside long-term Beleave collaborator, Dr. Michael Rogers, associate professor in the department of food sciences at the University of Guelph. Beleave’s first retail location is opening this fall in Lloydminster, Sask. 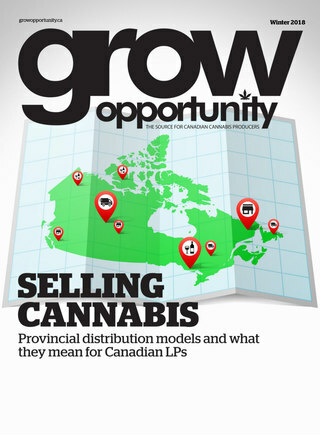 The company has also developed a network of medical cannabis clinics in Ontario and Quebec under the Medi-Green banner.